While the picture isn't necessarily amazing in of itself, the reading class was very engaged throughout their jigsaw activity. 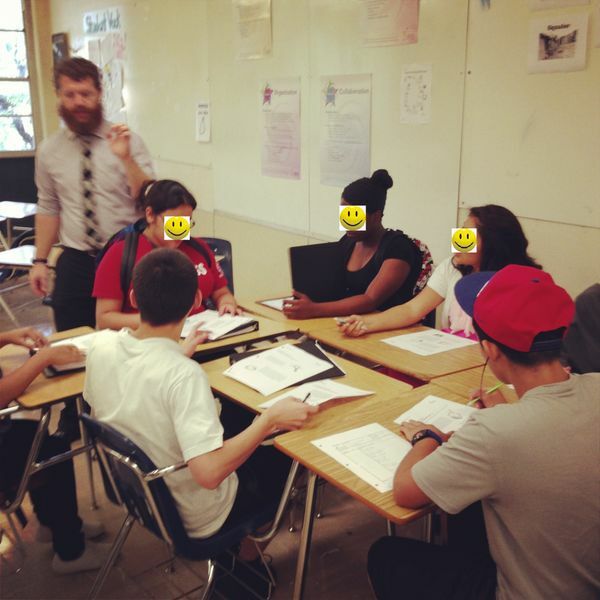 The teacher made several quick check-ins with each group to make sure students understood what they were doing (and threw in some short behavior redirection as needed). The students were reading an article on effective studying habits. Each student was assigned two sections to become an expert on and then it was time to share what everyone learned!